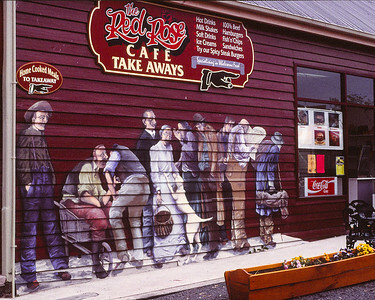 Sheffield Wall Murals & King Solomon's Caves, Tasmania, Australia. Images scanned from 35mm Transparencies. 9 December 1995. 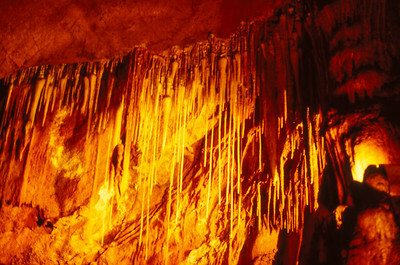 These photos have been scanned from 35mm slides. This day was a 'day off' during the Champion School of Australia basketball tournament, being held in Devonport, Tasmania. 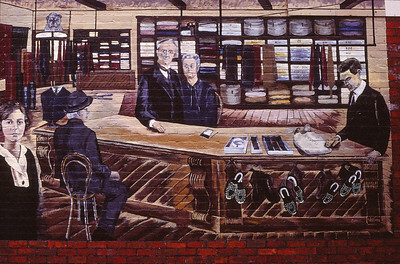 Tailor - Wall Murals at Sheffield, 9 December 1995; , Sheffield, Tasmania, Australia. 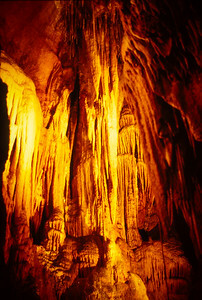 Photos by Des Thureson, scanned from 35mm transparencies. 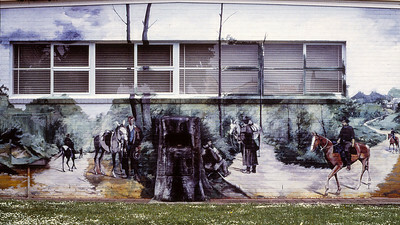 Wall Murals at Sheffield, 9 December 1995; , Sheffield, Tasmania, Australia. 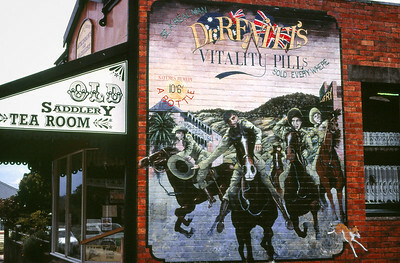 Photos by Des Thureson, scanned from 35mm transparencies. 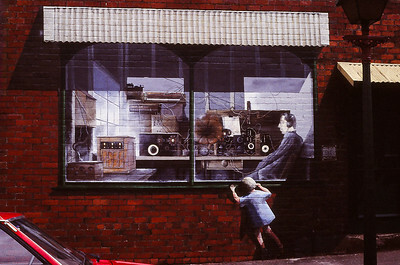 Perhaps a Radio Studio? 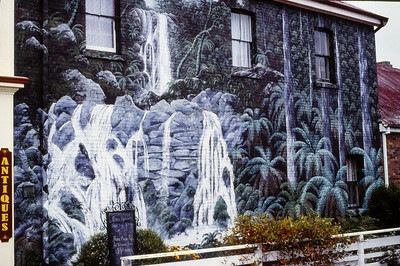 - Wall Murals at Sheffield, 9 December 1995; , Sheffield, Tasmania, Australia. 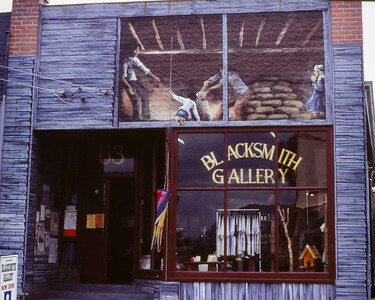 Photos by Des Thureson, scanned from 35mm transparencies. 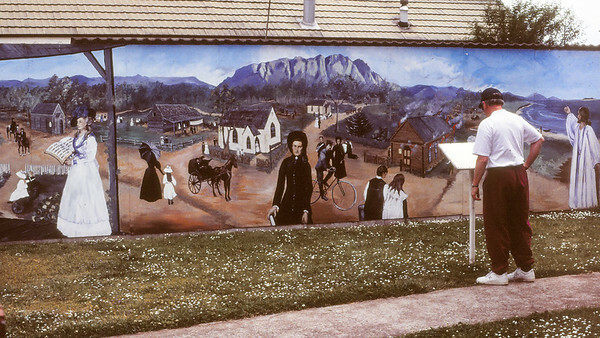 Early Christian Heritage - Wall Murals at Sheffield, 9 December 1995; , Sheffield, Tasmania, Australia. 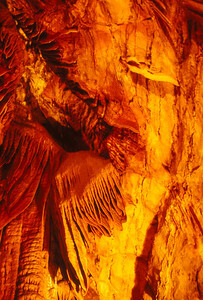 Photos by Des Thureson, scanned from 35mm transparencies. 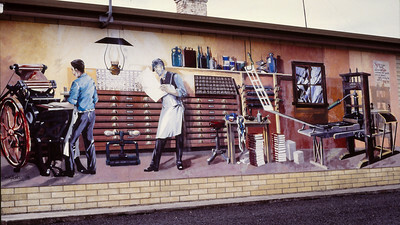 Printer / Printing Press - Wall Murals at Sheffield, 9 December 1995; , Sheffield, Tasmania, Australia. 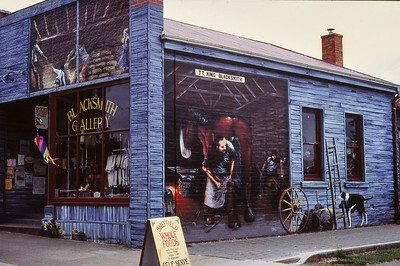 Photos by Des Thureson, scanned from 35mm transparencies. 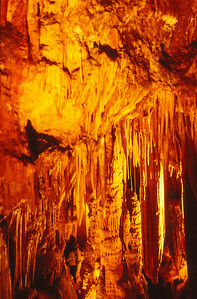 King Solomon's Cave; Liena Road, Liena, Tasmania, Australia; 9 December 1995. Photos by Des Thureson - http://disci.smugmug.com. 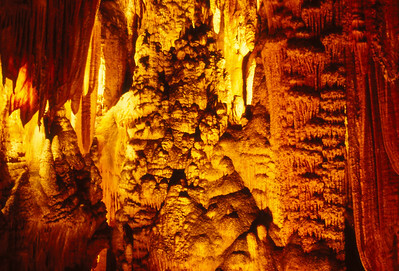 Photos scanned from 35mm transparencies. 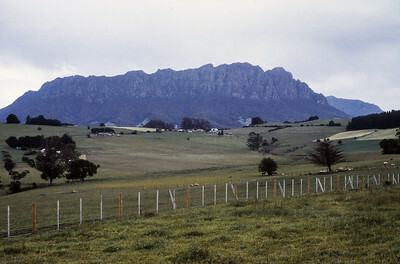 Northern Tasmania, south of Devonport and north of Sheffield.